The global market for organic products has been rapidly increasing since the early 1990’s. What began as isolated movements in the 1960’s and 1970’s towards producing safer alternatives to produce raised with the help of pesticides and other chemicals has now become a massive market. It includes everything from organic food to organic bath products, packaging, clothing, and more. 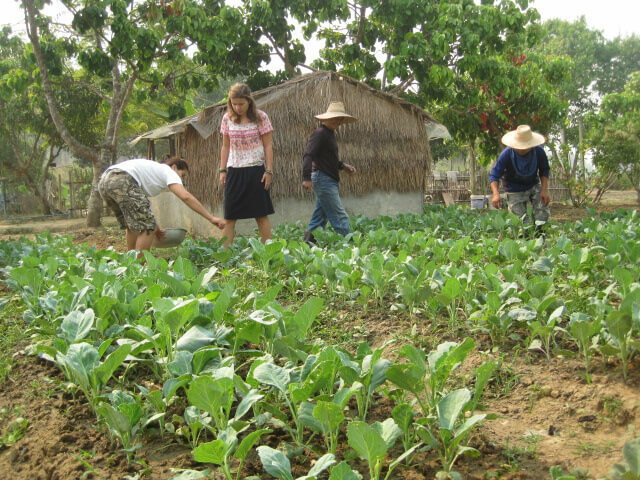 Interestingly, Thailand was among the first countries in the world to begin initiatives for organic farming. In 1991, the first Thai farmers began growing organic crops, and just four years later the country had developed standards for what could be considered organic. Since then, the demand for organic products among the Thai people has increased rapidly. But the number of organic farms has not kept up with this demand, leading to a large market for foreign trade of organic products and produce. Many investors from around the world, and particularly from China, have taken advantage of the demand and found success in the Thai market by bringing in organic imports. Despite a relatively low number of farms producing organic vegetables and grains in the country, a number of companies and industries with a focus on organic products have their roots in Thailand. From beauty products, to plastic alternatives, to products made with hemp or a mineral-base, thousands of companies across Thailand produce billions of dollars in revenue each year through the production and sales of their organic products. The growing number of foreign investors buying luxury properties in Bangkok and elsewhere in the country have created an even greater demand for these products locally. Thailand remains the world’s largest rice exporter. Beginning as early as the 1960’s, Thailand’s rice farmers have traditionally relied heavily on chemicals. But recent studies revealed that the health concerns for farmers who use pesticides and other chemicals, as well as the cost of using these chemicals, actually make this kind of farming more costly and harmful to small farms than organic farming. In the early 1990’s a small group of 100 Thai farmers came together to establish the Rice Fund Surin. Looking to change the future of rice farming in Thailand and to improve the lives of the nation, the group sought to further research into better organic rice farming methods, and to spread awareness of its benefits to other farmers in Thailand and around the world. Over a decade later, it was relabelled the Rice Fund Surin Organic Agriculture Cooperative Ltd, and later it received its Fair Trade certification. The company’s following has since grown, and has helped to develop a strong foundation of organic rice producers who supply their healthy, safe produce in Thailand, and export it around the world. The demand for organic products and produce has never been higher in Thailand. This has spurred a more recent trend of organic stores and supermarkets that have opened up across the country. Locations such as Radiance Wholefoods and Anotai in Bangkok now make organic foods and other products more accessible and affordable to Thailand’s locals and tourist alike. UPDATE: We have since spoken to Adams Organic @adamsorganic on Twitter who also explained their increase in demand has also been due to home deliveries, and the fact more conventional supermarkets are holding stock of organic products.